There is more to Reno, Nevada, than just gambling. For the last three to four years, the Reno food scene has been emerging and at the rate it is going, there is no stopping it. Reno, the “biggest little city,” is home to approximately 350,000 people (including neighboring Sparks) and you can get anywhere in the city within 15-20 minutes. Reno is centrally located with the mountains only 20 minutes away, San Francisco 3.5 hours away, Sacramento 2 hours away, and Las Vegas 7 hours away. Unlike Las Vegas, Reno, sandwiched between Highway 80 and the Truckee River, is located in the high desert and experiences cooler weather. 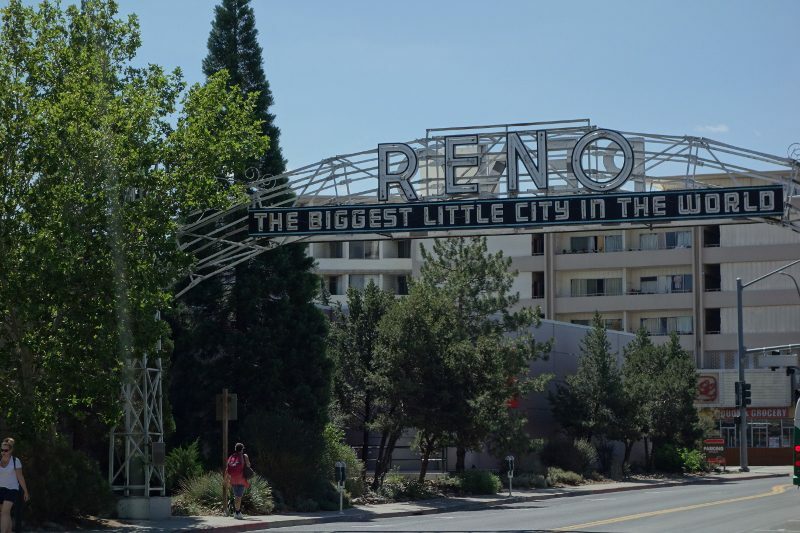 And with Nevada being one of the best states for renewable energy and also having one of the largest lithium mines in the U.S., Reno has been drawing people from San Jose. Apple has had one of the world’s greenest data centers in operation in Reno for the past four years; Tesla is building a $5 billion dollar giga-battery factory that is five-million-square-feet and will offer 6,500 jobs; and Reno is one of seven states approved for drone testing which will bring 400 jobs into the area. With this population growth, it is only natural that the food scene in the “biggest little city” is growing as well. The emerging scene includes new ethnic cuisines, barbecue joints, and most importantly a focus on local, seasonal ingredients. Arguably one of the leading chefs in the Reno food movement is James Beard nominated Chef Mark Estee. 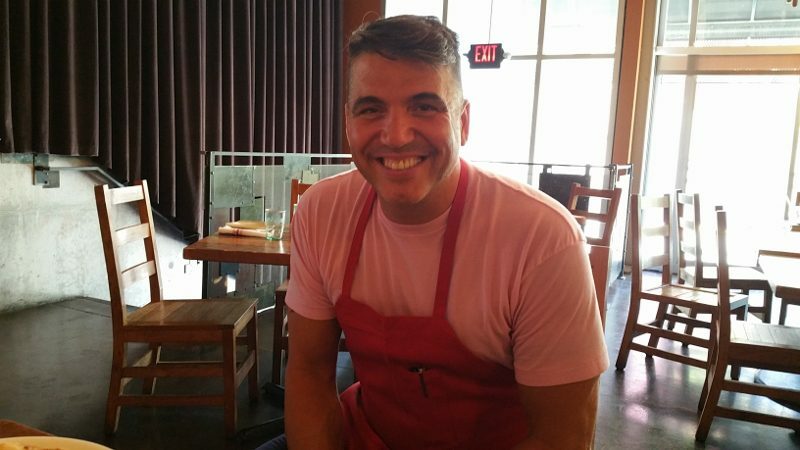 With five restaurants currently in the area, he believes in Reno as a culinary destination. Originally hailing from Boston, Chef Estee was on his way to San Francisco in 1996 when he stopped in Tahoe for a short stint. Three years later, seeing the potential of the area, he opened his first restaurant, Moody’s, in Truckee in 2002. While in Truckee, he would regularly travel to Reno for events and observed that there was a desire for good food but nowhere to get it. Drawn to Reno for its potential, Chef Estee was the first independent chef to start opening up restaurants. Each of Chef Estee’s restaurants has its own identity, offering a seasonal, local, fresh focus. He works with local farmers and everything is house-made, including in-house butchering. Chef Estee first opened Campo where he brought in a pizza oven from Italy to make authentic pizzas. Chez Louis is located in the Nevada Museum of Art, the only national accredited art museum in the state of Nevada. Heritage in the Whitney Peak Hotel, the only non-gaming hotel in downtown Reno, offers a menu celebrating the diversity of Northern Nevada – Native Americans, local ranchers (farm to table) and German and Asian immigrants. Burger Me in West Reno, as well as a location in Truckee, is an all-natural hamburger joint. And Reno Provisions, located in a former JC Penny and then antique shop, is a marketplace offering quick, healthy, local food in a glorified cafeteria. Reno Provisions also sells original artisanal products, wine and beer, promoting local Reno vendors like Nevada Brining Company, Amato Family Kitchen (jams and jellies), Big Horn olive oil, and Al’s Bees local honey. Opened Dec 2nd, 2014, Reno Provisions is the workhorse for all the other restaurants. They do all of the butchering (currently six pigs, four cows and six lambs per month) and baking for all the other restaurants. The conditions in Reno and surrounding areas are harsh, but that doesn’t stop farmers from growing fresh produce. Ten years ago, Reno was a food desert and to get fresh produce one had to travel outside the neighborhood. Sisters Nicole and Amber Sallaberry decided to change that. They started the Great Basin Community Food Co-op in September 2005 with two farmers. The co-op is the first downtown grocery store in Reno in 25 years. Over the last ten years, the local food movement picked up steam and today they have 75 local farmers and ranchers that they work with and 7,000 members/owners. Open to the public, the farmers post on the co-op website what is available. Restaurants place their orders and pick them up twice a week, streamlining the process of buying from local farmers. It is run by a dedicated core group of people, offering thousands of volunteer hours. The co-op was 100% volunteer run until 2007 (they have two paid employees today) and last year they did $1 million in sales. Lost City Farm, located in the heart of the city, is a one-acre urban vegetable and flower farm located on a city block that used to be an eyesore of junk and trash. Urban Farmers and friends Toni and Lyndsey originally met at the University of Reno. After working in agriculture outside of Reno, they returned to their home city and had the idea to start an urban farm. They wrote an urban farming ordinance adopted by the city and are currently in their third planting season, offering 30 varieties of vegetables, cut flowers and herbs. Much of the products go directly to restaurants and the co-op, but the farm stand is open two days per week for locals to purchase items directly. Coffee roasters, breweries and distilleries are another growing trend in Reno. There are five local coffee roasters in Reno – Hub Coffee Roasters, Magpie Coffee Roasters, Blind Dog Coffee, Wood-Fire Roasted Coffee Company and Kolika Coffee – but only two (Hub and Magpie) have cafes for the public. There are a dozen breweries in the area, which has almost doubled in the last four years. And there are three distilleries, with one, The Depot, located in downtown Reno. Located in the original Reno train depot, The Depot, a brewery and distillery, was purchased in 2013 by Brandon Wright. Brandon has been a brewer his entire life, never having had a paying job doing anything else. He went to brewing school in 2006, spending 6 months in Chicago and 6 months in Munich and then worked in San Diego, designing brewery equipment from facility to design. After 14 months of renovations, The Depot opened on December 31, 2014. From the first day, Depot has focused on local products, with 90 percent of grains for spirits and 40 percent of grains for beer being locally sourced. From the brewery, there are 10 beers on tap and 15-20 draft handles. From the distillery, they produce silver corn whiskey made from 100 percent Nevada grown corn, aged corn whiskey, bourbon, single malt, and a hopped gin. This entry was posted in Food, Lifestyle and tagged Foodable, FoodableTV, Great Basin Community Food Co-Op, Lost City Farm, Mark Estee, Nevada, Nevada Culinary Scene, Reno, Reno Culinary Scene, Reno Restaurants, The Depot by Allison Levine.